Playcentre is a parent cooperative for early education in New Zealand. Playcentre’s rich and unique philosophy of child-initiated play views parents as the first and best educators of their own children. 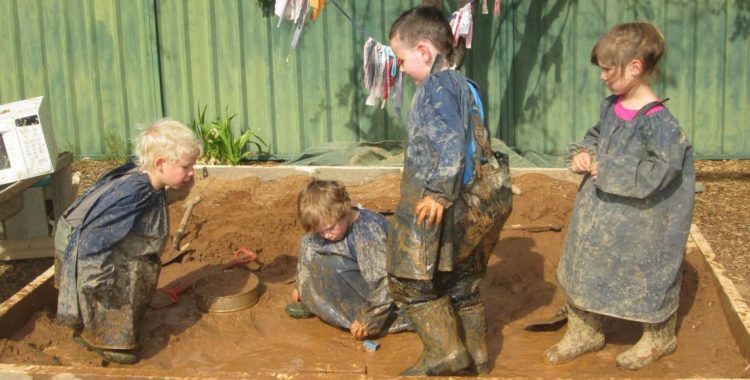 Amy Crookston, former President of Ngaio Playcentre, shares her experience of adapting the Educa site to meet their specific needs and the impact she has felt at Ngaio. The experience amongst the Parent Educators at Ngaio Playcentre varies greatly, with more accomplished Educators working alongside those who are new to the role. Amy was looking to bring the Parent Educators together and encourage her members to equally contribute to a child’s learning journey, regardless of experience. This led Amy to explore e-portfolio software for Ngaio Playcentre. Recognising the varying levels of IT competency at her centre, Amy was searching for a program which was simple, yet effective. The simplicity of the site has allowed all the Parent Educators to get involved in writing learning stories, which has created a stronger community around the child’s development where Parent Educators can more easily share ideas and learn from each other. “The connections between our Learning Stories, our Planning, our Evaluation and our PLODs is intense. Educa allows our Parent Educators to see what other children, besides their own, are doing and learning as recently as yesterday. They know the kids better and are able to respond to their learning needs quicker and build better relationships, faster. Due to the unique nature of how Playcentres operate it was vital that Educa was able to be moulded around their specific requirements, “The set up at the start was quite good and we were able to adapt it to meet our needs” Amy recalls. If you’re interested in trialing Educa for yourself, try us here.